I enjoyed listening to this, he has done his research, this is not your run of the mill self help book. He gives you real tasks to do and if you do them they help alot. Not complicated, and as someone who came from a background of little guidance and discipline, I found this improved my life. My only complaint is it's a little bland, I would have liked it if he went into more detail with overcoming his struggle after his injury for inspiration. But I just finished listening to David Goggins, so that book set the bar pretty high in terms of inspirational listening. 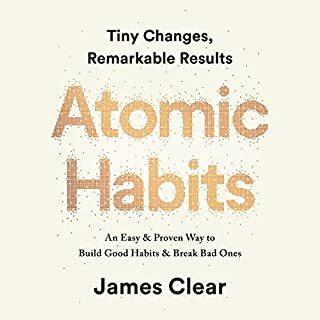 Atomic Habits is well worth your monthly credit!